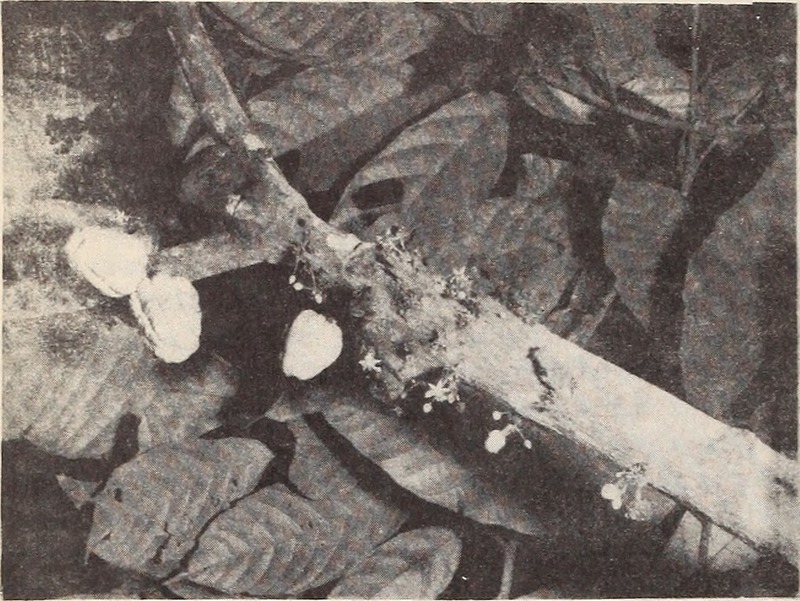 Witches' broom is one of the most insidious diseases that can affect cacao trees, causing "yield reductions that range from 50 to 90%," writes Lyndel W. Meinhardt et al., in a 2008 article in Molecular Plant Pathology called "Moniliophthora perniciosa, the causal agent of witches' broom disease of cacao: What's new from this old foe?" Moniliophthora perniciosa is thought to have developed in the Amazon, like cacao. The fungus attacks trees in five phases: infection, green broom, necrosis, dry broom and spore formation. In short, it causes young cacao pods to abort and mature pods to rot and lose either some or all of their beans; it also clusters onto the tree in a dense group of shoots, which grow together to look like a bird's nest or, if you're creative, a witch's broom. Meinhard goes on to write that scientists have tried to control the disease through "phytosanitation, chemical control, genetic resistance and biological control," with mixed results. For example, with phytosanitation (in other words, cutting down the diseased parts of the plant), "95% removal was required to achieve 50% reduction in pod loss." Meanwhile, chemical control is not routine, "because of the high costs and risks associated with cacao bean contamination and environmental health." That leaves finding resistant varieties. The study authors note that SCA6 and SCA12, both from Peru, are highly resistant but that clones that are resistant in one location may not be resistant in another -- a hard reality that the Brazilian cacao industry has experienced firsthand. Novelist Jorge Amado describes the scene aptly in his book The Golden Harvest. Ilheus is "a city of money and cabarets, of dauntless courage and dirty deals." And on the cacao plantations, "the cacao fields are the work, the home, the garden, the cinema, often the cemetery of the workers. The enormous feet of the hired hands look like roots, bearing no resemblance to anything else. The visgo of cacao sticks to their feet and never comes off, making them like the bark of the trunk, while malaria gives them the yellow color of nearly ripe pods, ready for picking." "There were slaves that worked in cacao," Mahony summarized. "Most of the people who worked for [the cacao colonels] lived in illiteracy and darkness." At that time, the government was a distant entity. "The infrastructure was very minimal at that point -- even roads were rough," recalled Tuta Aquino, Juliana's husband, whose family lost their farm. The plantation owners played the role of a makeshift government and provided social services that kept the area running. Like many plantation owners, Aquino's father tried to do right by his employees, building eight extra houses on the farm for workers and founding a school on the property in 1987 that is still in session to this day. "It's not related to being wealthy," Aquino said about the power structure of old Bahia, and the culpability of the elites as a class. "It's related to being bad or not. The employer had the right to take from the employee clothes, food, house," Aquino recalled. "The minimum wage was so little." Many employers took advantage of this system. "We arrived, entered, tied the infected branch to the trunk of the cocoa and went away. ... The wind took care of the rest." So it didn't seem so far-fetched that left-wing activists would try to change the social structure. Timoteo told Veja and The Knot that, between 1989 and 1992, he repeatedly brought diseased branches from the Amazonian rainforest to Bahia by bus and gave the material to another conspirator to tie to healthy trees in the area. Because they worked for CEPLAC, they were able to easily enter any farm by saying they were doing fieldwork. They first targeted "politically conservative cocoa producing [counties]," explains a 2013 study from Geoforum called "Agro-terrorism? The causes and consequences of the appearance of witches' broom disease in cocoa plantations of southern Bahia, Brazil." The disease then spread along the BR-101 highway, decimating farms along the way. "We arrived, entered, tied the infected branch to the trunk of the cocoa and went away," Timoteo told Veja. "The wind took care of the rest." But their Robin Hood plan went awry, creating mass devastation. CEPLAC has consistently denied any involvement with the matter. Uilson Lopes, a specialist in quantitative genetics and cacao breeding at CEPLAC, said that the agency was "badly affected" by the outbreak and has experienced "much worse ... institutional instability" in the years since witches' broom was introduced. "CEPLAC had no interest [in] the disease being introduced in the region," he said. "In the decade before the WB, we were starting science projects (as for example the development of clones) that had the power to do a big impact on the cacao science. Suddenly, we had to stop all of them to focus on witches' broom. ... As a scientist, working in cacao in the last 30 years, I can say: it is much easy to work with cacao research (make progress and be scientifically recognized) and rural extension without WB." Some people don't believe Timoteo's story. "It's as much a possibility that it was done by farmers who were already infected," said Mahony. At the time some suspected it could have been the governments of Ghana or the Ivory Coast (which together produce 70 percent of the world's cocoa) trying to sabotage Brazil's economy. In 2006, a study published in Mycological Research called "Genetic variability and chromosome-length polymorphisms of the witches' broom pathogen Crinepellis perniciosa from various plant hosts in South America" determined that the witches' broom in Bahia was composed of only "two main genotypes." Some say that if Timoteo's group had repeatedly introduced infected branches over several years, there would be more genetic variability in the area. Since there are only two genotypes, they say, this proves that Timoteo's story cannot be true. Others use that information to demonstrate that there were two insertion points, proving Timoteo's tale. At the end of the day, the story of witches' broom –- and why someone would want to plant it –- is considered common knowledge by most everyone in Brazil. "From the very start, people knew that it was not natural," said Rogerio Kamei, whose family lost their farm. Since 1957, CEPLAC's entire mission has been to "promote the competitiveness and sustainability of the agricultural, agroforestry and agro-industrial segments for the development of the cocoa-producing regions." Surely it could help control this manmade natural disaster? It was certainly set up to do so. Since 1940, it had been illegal to transfer botanical material to Bahia. For 18 years, CEPLAC had maintained inspection offices at airports and border stations to keep witches' broom from leaving the Brazilian rainforest. It had even instituted the Witches' Broom Control Campaign, where CEPLAC employees would inspect travelers' bags to make sure they didn't contain infected material, in order to keep everything away from Bahia and Espirito Santo. CEPLAC first responded by burning an infected farm. But the disease spread, and for a while, the government didn't intervene. In 1995 CEPLAC finally enacted the Recovery Plan for Cocoa Farming to control the disease, and it even vowed to increase productivity by about 2,200 pounds per hectare. The first steps involved spreading products like copper and Agent Orange, an herbicide associated with the Vietnam War. Over several years CEPLAC developed "a biological control agent (a fungus that competes with the WB fungus)," Lopes said, "culminating with a commercial product" called Tricovab. With partners at home and abroad, it also sequenced Moniliophthora perniciosa's DNA, "in the hope that knowledge could help us to control the disease." CEPLAC also first recommended that plantation owners prune extensively, cutting down infected trees and lowering the tree crown overall. This has had disastrous long-term effects. For 250 years, Brazil's forests had created what's called a cabruca system, "where cocoa is grown under the shadow of large trees," explained Cristiano Villela Dias, the scientific director of Centro de Inovacao do Cacau in Bahia. "It is extremely positive from the point of view of conservation of natural resources, as it helps to preserve animals and plants, in addition to preserving water resources, such as rivers and springs. It was the only production model presented at the UN Conference on Sustainable Development, Rio + 20, as truly sustainable." In other words, messing with it was a bad idea. Lowering the tree crown was "the huge human action that generated this extraordinary spread of the fungus throughout the region, in such a short period of time," said Goncalo Pereira, a biology professor at the University of Campinas, in The Knot. CEPLAC has also spent a lot of its time identifying cacao varieties that are resistant to witches' broom and getting that information to plantation owners. Unfortunately, the first varieties that it urged owners to clone on their land didn't prevent the disease from spreading. Worse, because of the cacao varieties selected, the trees did not grow cacao pods. No pods, no beans. No beans, no money. 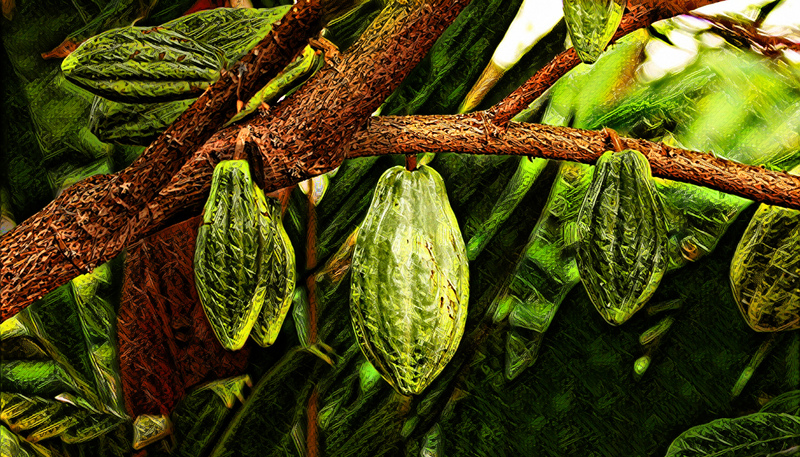 Unlike other industries, the cocoa industry doesn't typically fight disease with chemicals. Instead, it breeds stronger trees and pods with thicker husks. Once the industry has bred one of these babies, they clone it over and over again. In Brazil, Lopes said the clones resistant to witches' broom are "massively produced by private nurseries and by the Bahian state government" by root cuttings or grafting. With root cuttings, small pieces of tree branch are induced to root by using substances like Indol-3-butyric acid. With grafting, producers take small pieces of tree branch called budwood (usually the end of a forming branch with live buds on it), remove the bark, and mate it with a similarly barkless layer on a growing tree. Once the tissue from the budwood and the rootstock grow together, you have a new tree with roots from the old tree and new growth from the budwood. Voilà, an exact genetic clone. This low-tech methodology surprised Dandelion Chocolate co-owner and former Googler Greg D'Alesandre when he first started visiting cacao farms. "Cacao tends to be grown in developing countries, which creates limitations in potential solutions to problems," he said. After years of working with farmers, he said he's learned that "while it's possible to create insecticides and fungicides to fight issues with cacao, it's often not practical due to monetary as well as logistical constraints. This means that the technologies employed are often more straightforward and have been around longer. Cross-pollinating trees to achieve optimum characteristics (such as disease and pest resistance) is something that's been happening for millennia. It is speeding up natural selection, which means it's time-consuming and painstaking." To be clear, this is not genetically modified cacao. "The genes aren't artificially modified," D'Alesandre said. Tuta said his father "was one of the pioneers in trying to use the technology" that CEPLAC recommended, and it "failed completely. ... You wait two or three years until you see these trees grow, and there aren't any pods." By the mid to late 1990s, his father had to lay off workers. "From 30 people, he went down to 10, then six," and then just one or two, until finally "he ended up selling his farm." Now his father works in the technology sector. Even Aquino's father's family, the historic Pinheiros, don't farm cacao. They grow rubber trees. Meanwhile, a generation of Brazilians is in debt. Like many plantation owners, Aquino's father took out a loan to finance CEPLAC's recommendations. To get the loan, owners had to follow CEPLAC's advice to a T. When one recommendation didn't work, there was always another, with another loan. In May 2009 CEPLAC published a technical note recommending "treating the debts that were originated by the Program for the Recuperation of the Cacao Farming in Bahia with similar standards foreseen in the Fund for Agriculture Defense for catastrophic events" –- in other words, remunerating the debts. But farmers are still on the hook to the banks, though a new round of class-action lawsuits has given many hope. "Science usually does not work in the speed required by society," said Lopes succinctly, in response to CEPLAC's treatment of the disease, "because there is no magic solution for complex problems." By 2010, CEPLAC had found some varieties that worked. Today it recommends 12 clones, including CCN-51, which is infamous for its bad taste. "It has very dirty and undesirable flavor attributes that are different from what you find in fine-flavor cocoa and even bulk cocoa," Darin Sukha, a research fellow and food technologist at the Cocoa Research Centre at the University of the West Indies, told me in an article for Slate. "The resistance sources of those clones come from plants originally found in the wild," Lopes explained, especially a plant called Scavina-6 "found originally in Peru" around 1940. Yet 2010 was much too late for Aquino's family. Her parents tried everything they could to save the foundering farm, even living on the property for several years, but nothing worked. When Aquino's brother didn't want to take over the farm, the family abandoned it. For 15 years, witches' broom reigned the trees. The school for local kids continued to operate, albeit with a leaky roof and other problems, and only one person lived on the property, a septuagenarian former farm manager named Veridiano Santos whom Aquino's father had gifted some property when things weren't going well. He lived off the land, growing banana and yucca. When Santos visited Aquino's sick mother in the hospital, he told her he wished he could farm cacao there again. Aquino had secretly hoped the same thing. She had happy memories of being at the farm, drinking cacao pulp nectar and playing with friends. "That was my childhood story, my father's dream," she said. "So I started thinking, 'We have to change the sad story. We have to fight for something we believe in.'" "We have to change the sad story. We have to fight for something we believe in." So in 2013 Aquino and Tuta officially took over the farm, which was almost $300,000 in debt. Technically, because of the debt, Fazenda Santa Rita can't operate; the Aquinos are waiting for a class-action lawsuit against the bank to be settled. So they changed the name to Vale Potumuju and started working. Santos began recuperating the land, and now there are nine people working on the farm. They're following Lopes' recommendations at CEPLAC, and they hired an independent agronomist as well. Out of 110 hectares for cacao, they've disentangled only 40 so far. "You have to go little by little, day by day, taking out the branches that are sick," Aquino explained. They've also hired Dan O'Doherty, the founder and principal consultant of Cacao Services, or, as he's affectionately known in the industry, the cacao whisperer. Formerly an assistant researcher at the University of Hawaii at Manoa, he puts his botany and plant biology background to good use, helping farmers "optimize their harvest, fermentation and drying." At Aquino's farm, he helped them shift from a traditional drying system to using a solar drying tunnel. "They had some of the old traditional varieties, called Pará or comum," he said, as well as some hybrid clones from CEPLAC and Mars. "We fermented the traditional separately from the hybrid stuff. I feel like I've improved it, but I would still say it needs work." That's because those clones were recommended for their superior hardiness, not their superior taste. Cacao-industry consultant Dan O'Doherty has invented his own protocol for helping cacao farmers improve their end results -- in other words, produce better-tasting beans for the specialty market. Why? The specialty market pays much higher prices for cocoa beans, even up to five times as much as the commodity market. O'Doherty's methodology and results are so highly regarded in the chocolate world that they are considered a de facto stamp of approval: If he's worked with a farm, American bean-to-bar chocolate makers are eager to use the beans. For example, LetterPress Chocolate and Brasstown Chocolate both use beans from Peru's Ucayali River Cacao, and Dandelion Chocolate and Arete Chocolate use beans from Ecuador's Costa Esmeraldas. Cacao farmers everywhere use a pretty standard process: First, they cut the football-shaped cacao pods off the tree, then scoop the beans (which are encased in a white pulp that tastes like lychee) out of the pod. Next, the beans are fermented in that white pulp for three to seven days, usually in wooden boxes or under banana leaves. Last, the beans are dried, usually in the sun on a patio or road. But there are infinite variations of this process, and all of them dramatically change the way the beans -- and resulting chocolate -- taste. For example, incorrectly fermented beans can taste like smoked ham. O'Doherty considers most parts of his protocol "trade secrets," but he told me that mainly he designs "the flow of the space." He said, "Everywhere cacao is grown pretty much is low infrastructure -- low level of education, a lot of subsistence farmers. People don't necessarily have the time or desire [to revise their methods], or really the thought process. So if you can make your facility linear, you reduce the labor. At the end of the day, who the hell wants to slop a metric ton's worth of wet cacao up a flight of stairs?" To do this, he's had to calculate the exact measurements needed for harvesting, fermenting, and drying cacao beans. For thousands of years, people have guessed at these measurements, so this is quite a change. "You need half-a-square-foot per pound of finished, dried beans," he said definitively. But it's still an imperfect science. O'Doherty uses wireless data loggers to track the "temperature profiles" of beans as they ferment, but not in every box. "It's unrealistic to have people making box-by-box judgment decisions by looking at data," he said. "People talk about all sorts of technology in cacao. The problem is, if it's not user-friendly and it's not deployed in a way that's practical, it's not going to get used." So he uses a few loggers to generally monitor some of the boxes. If fermentation doesn't happen at the desired rate, "we'll deploy a whole lot of data loggers pretty intensely and look for patterns." O'Doherty is working on a new method of fermentation and processing at the moment, but he's keeping it hush-hush until he's absolutely certain he can recommend it wholeheartedly. Brazilian cocoa's taste still has problems overall though. "It's high bitterness, high astringency," O'Doherty said. "There's a weird vegetal, raw-seed flavor." There's even a name for the taste: Brazilian funk. "The taste is something reminiscent of rancid desiccated coconut," said Sukha. "What bothers me more is the aftertaste," Aquino said. "It tastes like something metallic that stays on the tip of your tongue. That taste bothers me a lot more than the smell or the flavor." The Aquinos have spent more than $300,000 on recuperating the farm so far, and they plan to bring O'Doherty back as soon as they can yield a decent harvest (in 2017 they produced less than 15 tons of beans). "The plan is to have the best beans in Brazil and to sell them to the specialty cocoa market," Aquino said. Brazilian farmers have long focused on selling bulk cocoa to big companies like Mars and Callebaut, so the shift to sell to the specialty world, namely the American bean-to-bar makers, is a new one. Many of the plantation owners are adopting this strategy, encouraged by a new association called the Centro de Inovacao do Cacau (CIC), which has the equipment and sensory labs to help landowners improve the quality of their cocoa beans and become a go-to for the specialty market. To do this, they'll have to improve the taste of the beans as well as test for contaminants like E. coli and heavy metals. The CIC will evaluate your samples for a mere $20, providing access to even small cocoa farmers, as well as a welcome alternative to CEPLAC. 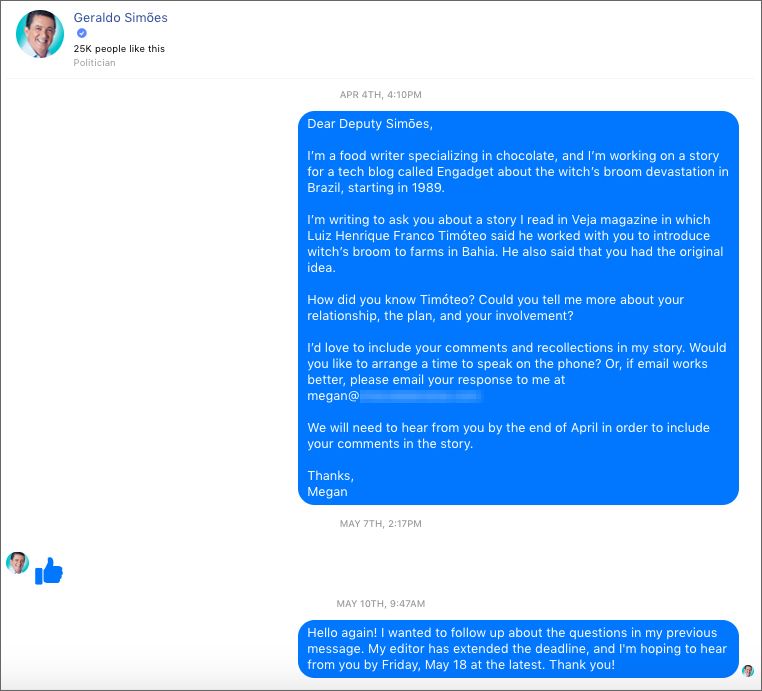 "It's apparent from talking to anyone who grows cocoa in Brazil," Greg D'Alesandre explained about why the CIC was formed. "You can hear the venom in their voice." As the co-owner and "bean sourcerer" at Dandelion Chocolate, D'Alesandre plans to purchase cocoa beans from the Aquinos' farm in the next few years. "It hasn't gotten to a point where they have the quantity to sell us," he said. The Aquinos have also started to make their own chocolate from their cocoa beans, which in this case isn't bean-to-bar but rather tree-to-bar. Unlike other Latin American countries, Brazil doesn't have a tradition of making chocolate; cocoa beans are a cash crop, not something used locally to make food. If Brazilians want chocolate, they buy it from the store. "We used to have Nestle cocoa powder with a lot of sugar at the farm," Aquino recalled. So making it from scratch is something new, and powerful. They're selling it under the name Chocolates Baiani at local stores and plan to launch in a big way soon. When I tried the bars, I found the chocolate nutty and earthy in a pleasant way, with a smooth melt. Baiani is part of a new generation of Brazilian food artisans who are making chocolate from scratch using Brazilian beans. In early May, around 20 of these new small companies gathered in the back room of Nambu restaurant in Sao Paulo for the first Bean-to-Bar Chocolate Week Brazil. Amid the tropical trees, plants and brightly colored textiles, about half those companies were sampling chocolate made with beans from their own farms (known as tree-to-bar in the industry), the other half showcasing chocolate they'd made with cocoa beans bought from Brazilian farms. (A few industrious plantation owners even brought 2-kilo bags of their beans to sell to the other makers -- and sold out by the end of the day.) "People have gotten better at making chocolate," said D'Alesandre, who had attended a chocolate festival in Bahia in 2015. "On average what I tasted is better than what I taste on average at any other chocolate festival." It may not sound like it, but that's high praise, since D'Alesandre frequents well-established festivals that draw the best makers from around the world. He credits the improvement to the way bean-to-bar makers there have banded together to create the Bean-to-Bar Brazil Association and help one another learn how to make chocolate, as well as the fact that Brazil is one of the wealthiest countries that grows cacao, which means plantation owners have money to spend on refining their growing and harvesting processes. While in Brazil for the festival, D'Alesandre also visited the Aquinos' plantation as well as other plantations in Bahia. "When Americans hear about plantation-style farming," he said. "It harkens back to days of slavery and abuse. It was interesting to see beautiful communities that happened to be on somebody else's land and farm with kids going to school and people getting paid well." He isn't the only one noticing the changes and the high quality of the chocolate. Immediately after the festival ended, the Academy of Chocolate announced the winners of its annual awards. Brazil swept the competition. 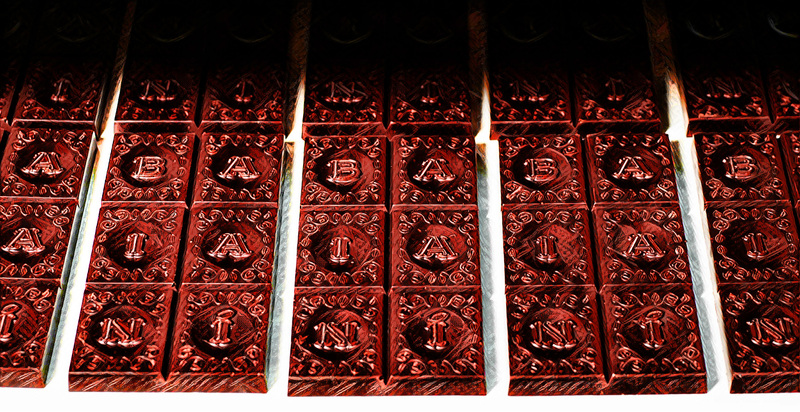 Bars made with Brazilian cocoa won more than a dozen awards, including a gold medal in the tree-to-bar category for Aquino's company, Baiani Chocolate. In other words, Brazil may just be putting itself on the specialty cacao map for the first time in its history. "In the beginning, Baiani was going to be the business card that demonstrated the high quality of our cocoa beans so we could sell to the specialty market," Aquino explained. "The thing is, people are liking the chocolate." Megan Giller is the author of Bean-to-Bar Chocolate: America's Craft Chocolate Revolution, the first snapshot of this new movement, with stories of the best makers in the country, unusual chocolate pairings (think beer, bread and cheese), and recipes from award-winning pastry chefs and chocolatiers. Buy it here.